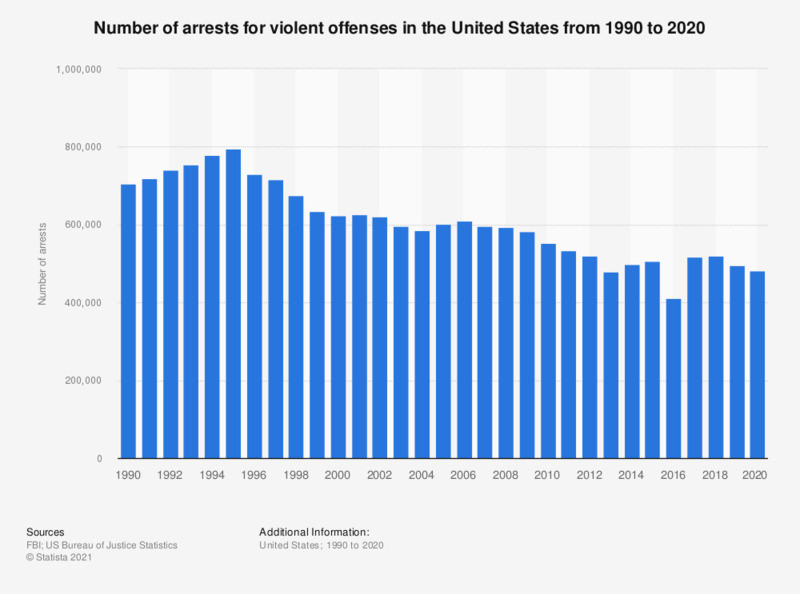 This graph shows the number of arrests for violent offenses from 1990 to 2017. In 2017, 518,617 offenders in the United States were arrested for a violent crime. The data from previous years can be accessed at the Uniform Crime Reports section on the Website of the FBI.